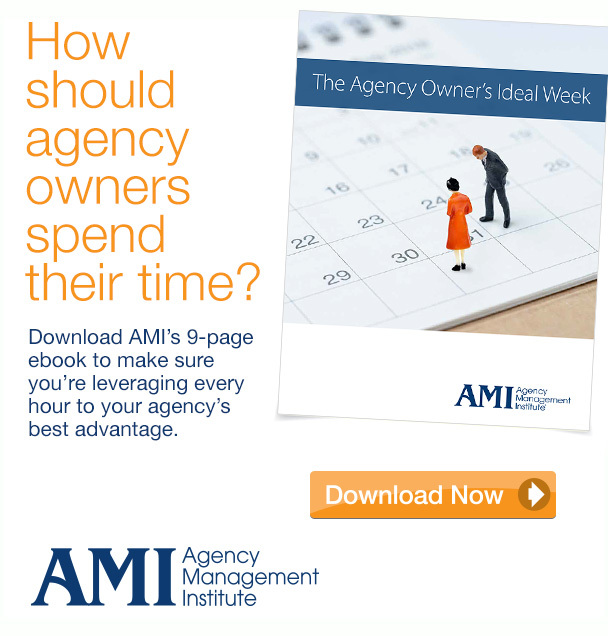 Agency Owners – Could An Hour A Month Change Your Life? Something we often hear from agency owners is they wished they had others to bounce around ideas with …who understand the business … that could offer an informed opinion. Let’s face it. As the agency owner – you’re it when it comes to making decisions. But, what if you could spend an hour a month with an “ad hoc” board of advisors -others who are walking the same path as you, facing the same challenges? We’re inviting you to join AMI’s Virtual Owners Network – a monthly hour-long meeting of the member agency owners (6 agencies max) who talk openly and freely about their challenges, and come together collectively to assist each other to meet those challenges. It will become the best, most productive hour of your month. We promise. AMI’s Craig Barnes facilitates these virtual video gatherings of owners from across the world that not only learn from each other, but also create a bond in a confidential environment that promotes resource sharing, problem solving and camaraderie. Network members are exclusive to their market – there’s no competitive threat … no other agencies from across town … only others just like you who are committed to growing their agencies in ways that separate and distinguish them from those in an increasingly competitive marketplace. There’s power in collective experiences. Each month (and probably in-between via email) members come together to tackle issues … from best practices for attracting and retaining top talent, developing account teams that are business advisors …not order takers, effective ways to eliminate scope creep, to effectively managing agency financials for creating a business that provides the life you want for you and your family. AMI’s Virtual Owners Network is for agencies that fit the profile of the other 250 small to mid-size agencies we work with each year … a mix of advertising agencies, PR firms, marketing shops, media buying, digital marketing, and design firms with the desire and drive to grow their business to the next level. 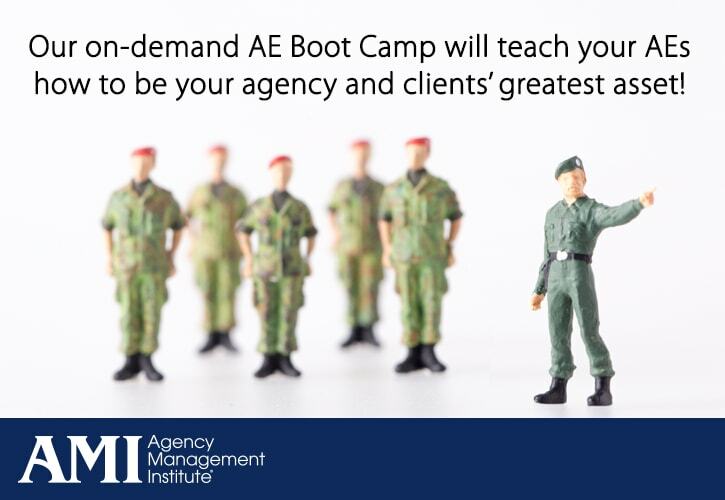 In addition to learning from each other, we’ll share AMI’s best practices that help agency owners operate profitable enterprises. We’ve learned these ourselves from a collective 50+year experience of operating our own agencies. We understand that for some agency owners, it’s more convenient to carve out an hour a month rather than investing the time and dollars to be part of one of our live owner peer networks. AMI’s Virtual Owners Network is designed for those who want to maximize learning with minimal time disruption. Like anything, what you contribute is proportional to what you receive. This confidential environment promotes a dialogue of trust and sharing. The key to making a peer network meaningful is members’ willingness to be open and honest – sharing successes as well as failures. The exponential power of people coming together with common purpose and experiences can change your life. Most agency owners are “accidental owners.” Think about it, you probably never started out your career to become an agency owner. Chances are you are great in front of clients, strategic and/or creative … perhaps a gifted writer who can turn thoughts into stories that motivates an intended audience to take action. But somewhere along the way you decided that you could do this on your own instead of for someone else. And then you looked up one day and had several employees. Suddenly, you realized you had a business. AMI’s sole focus is to help “accidental owners” become great owners who profit from their time and energy. AMI’s Virtual Owners Network provides a forum for owners like you want and need an opportunity to come together to discover and learn from others, tap into AMI’s proven methods that drive profitability and to create a secure future for you and your family. So, is this you? If so we’d invite you to apply for membership today or email us to schedule a time to chat about whether or not this is for you. Why not reach out to learn a little more about the AMI Insider program/Virtual Owners Network and see if we can help you create the agency you’ve always wanted to own?